A TEE FOR LITTLE SUPERHEROES. 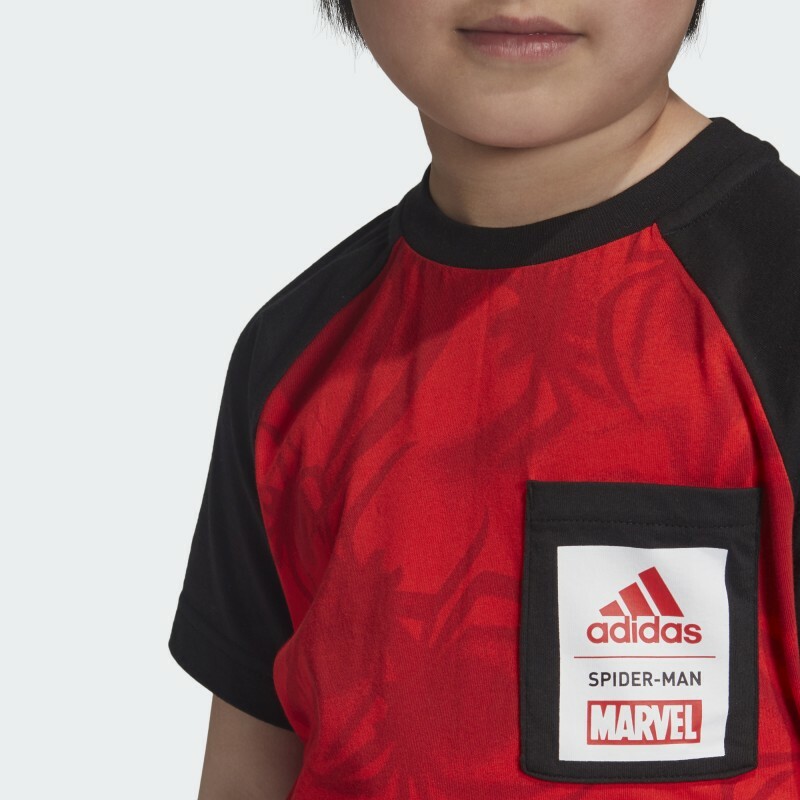 Let him dress like his favorite Marvel character. 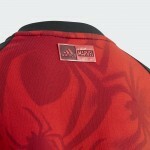 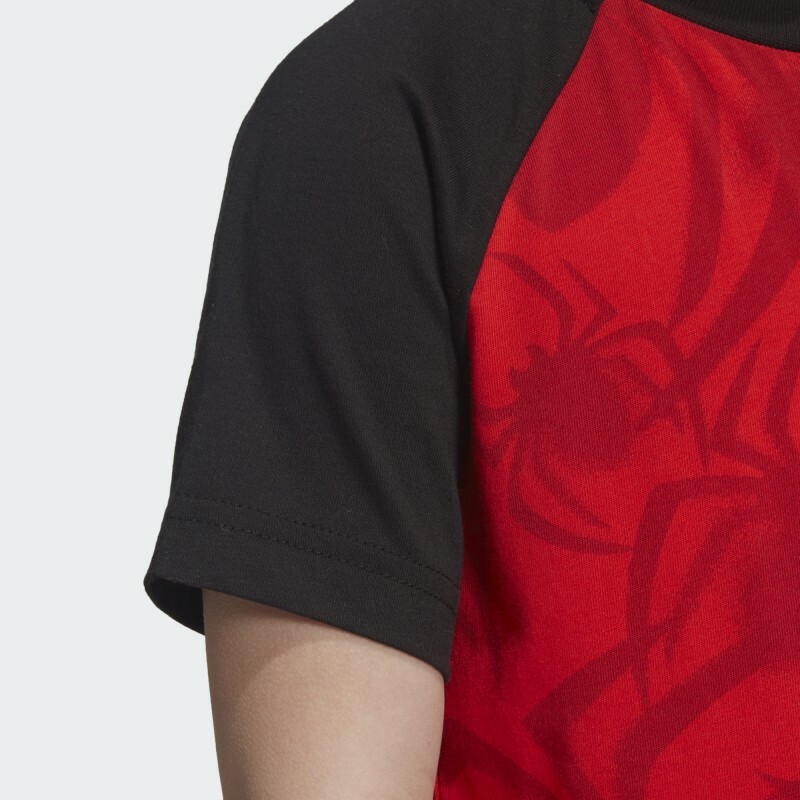 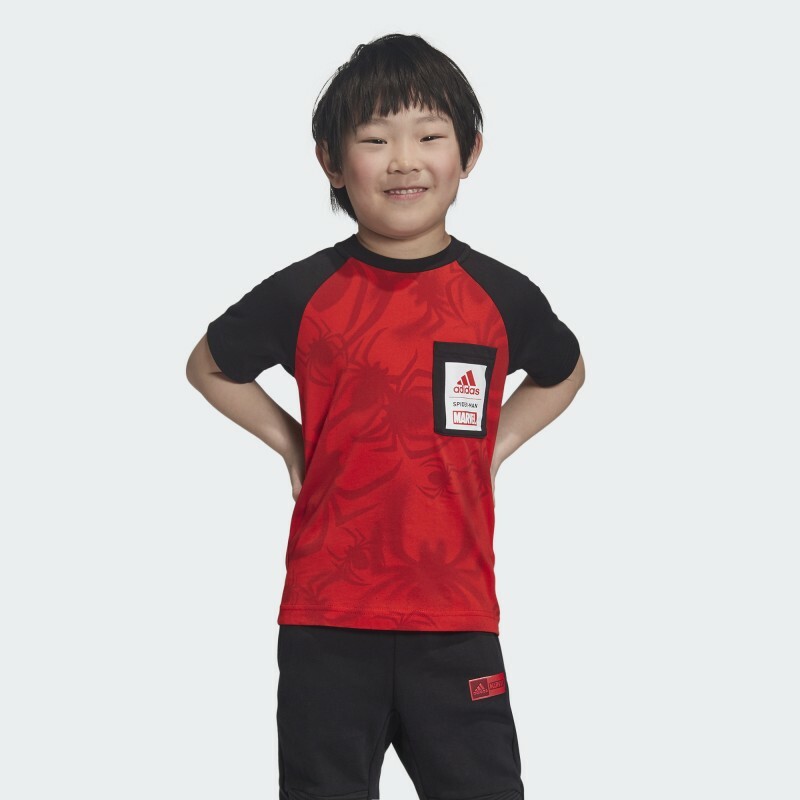 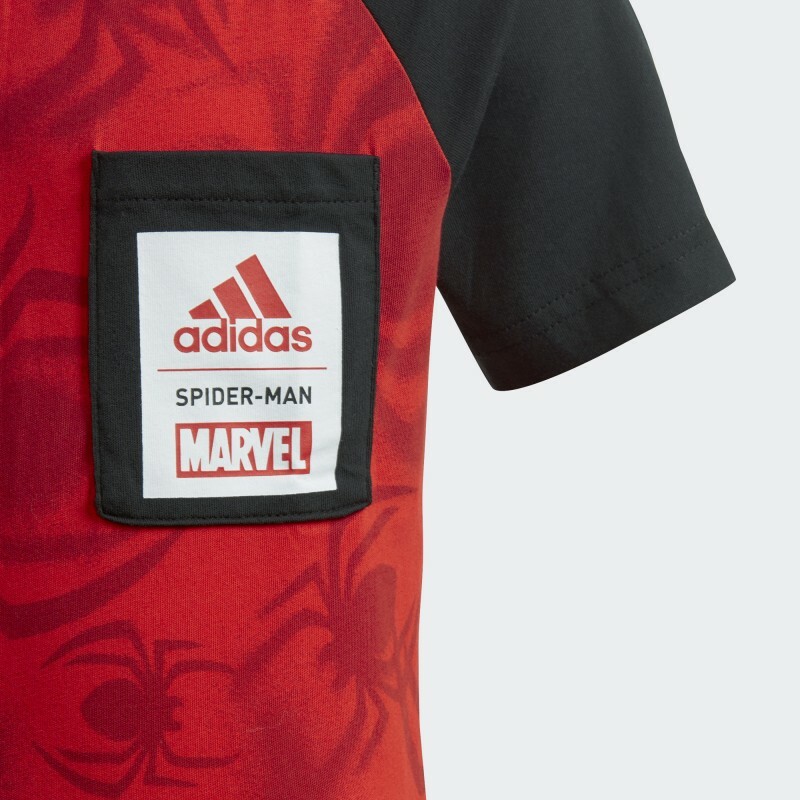 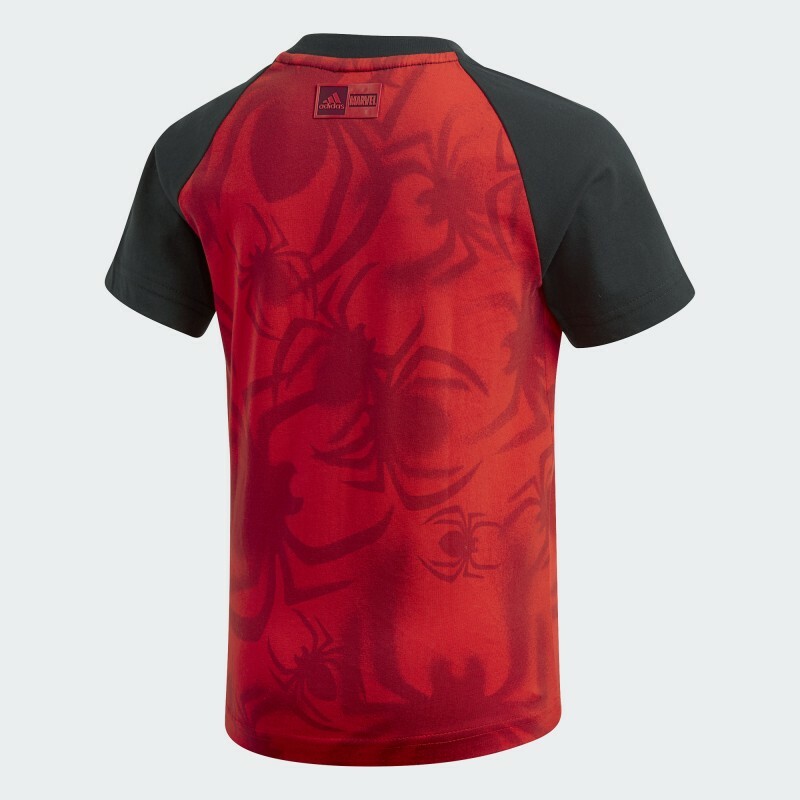 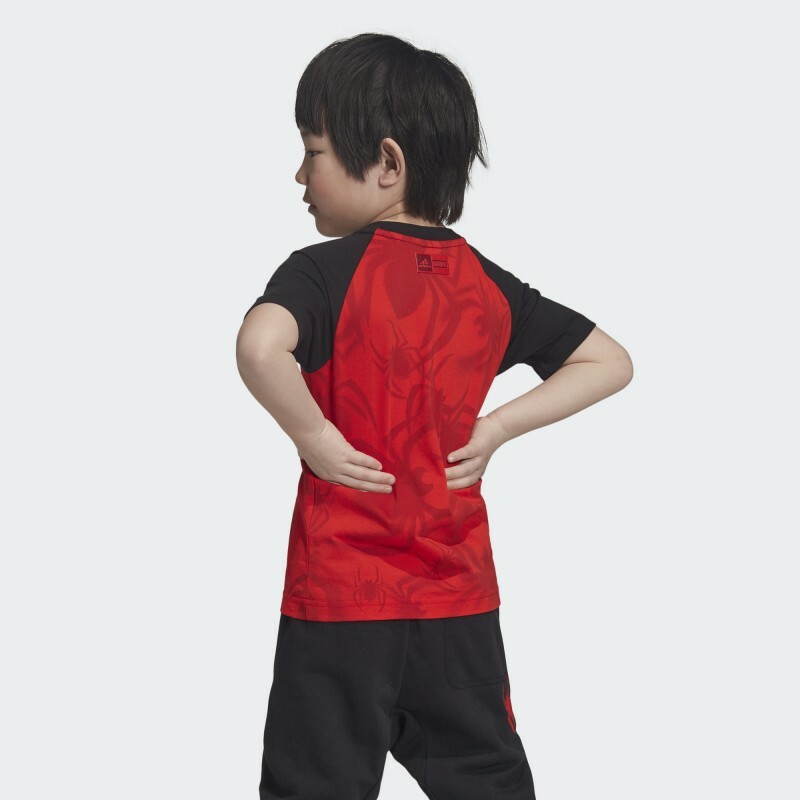 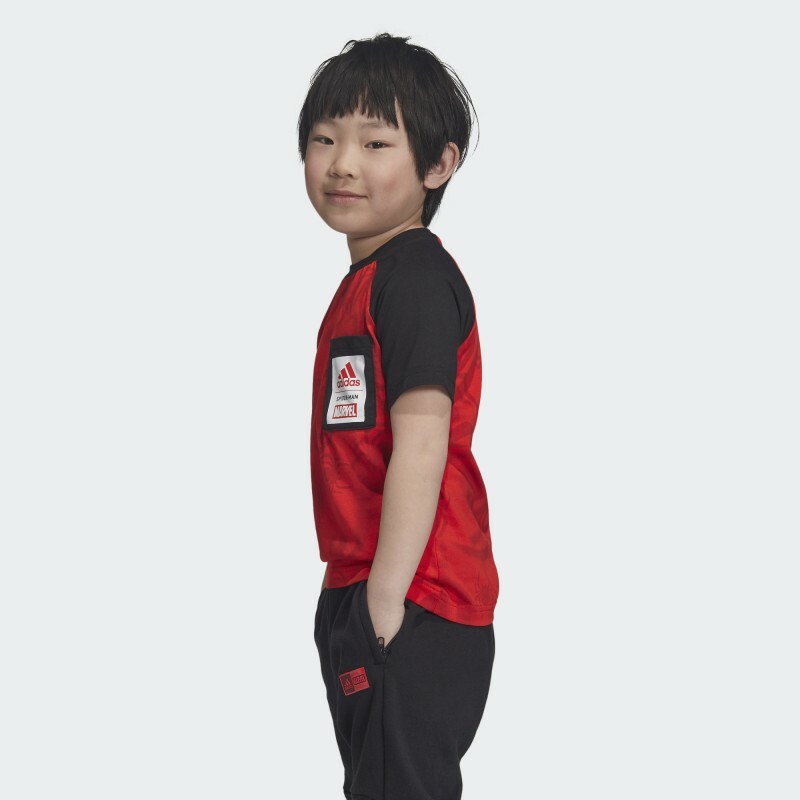 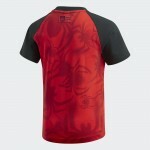 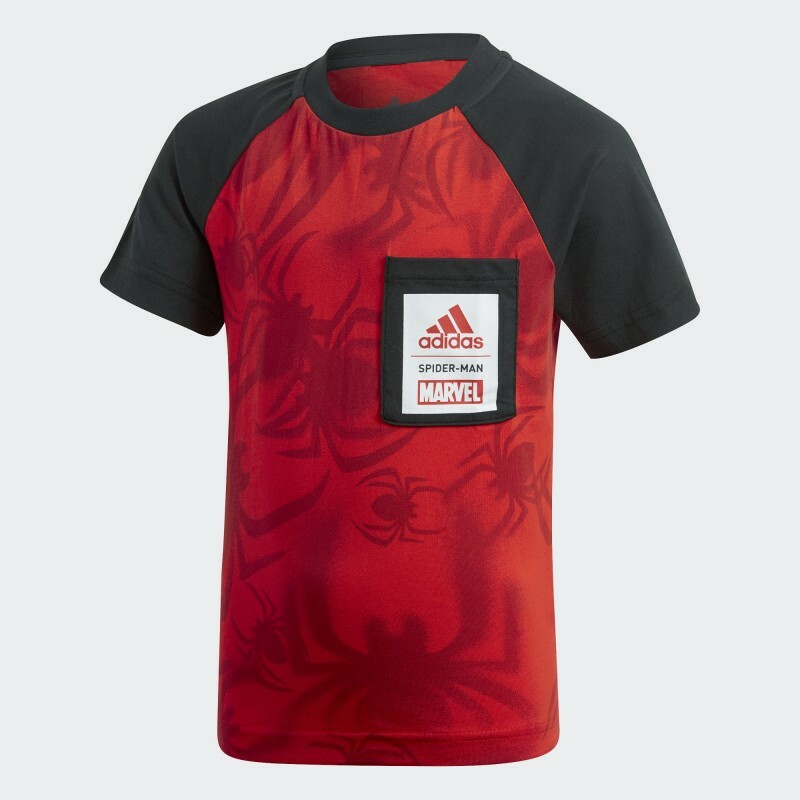 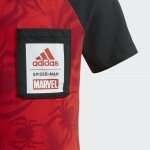 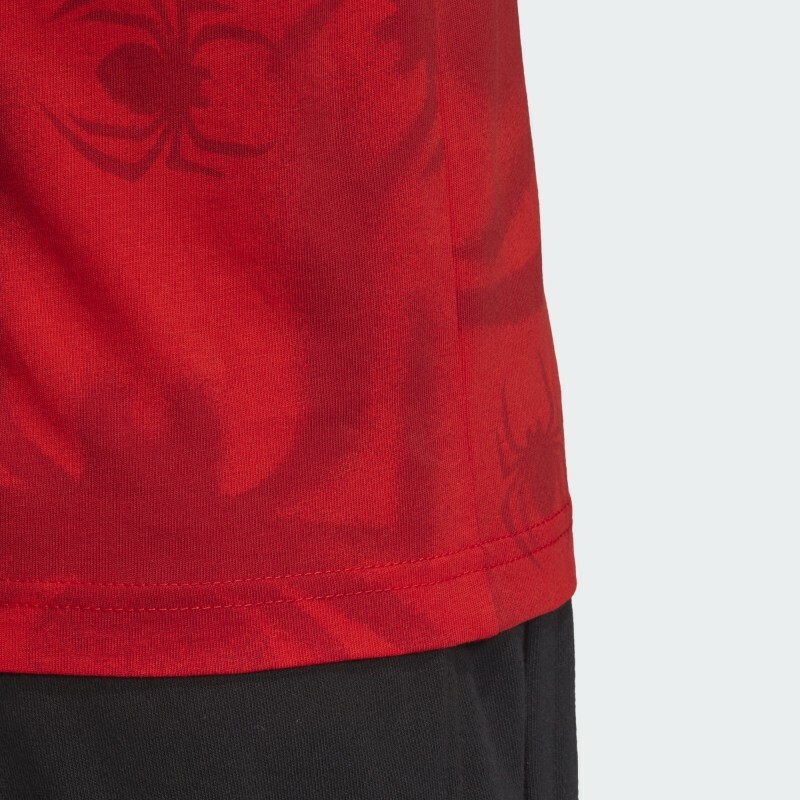 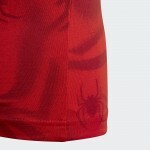 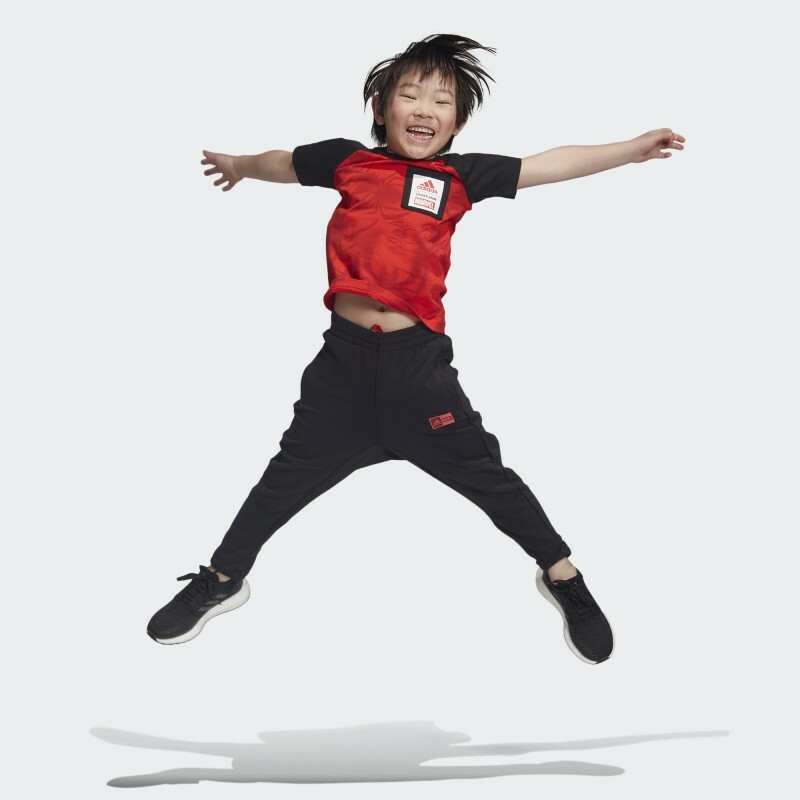 This boys' Spider-Man tee has short raglan sleeves and a patch pocket with a Spider-Man badge. 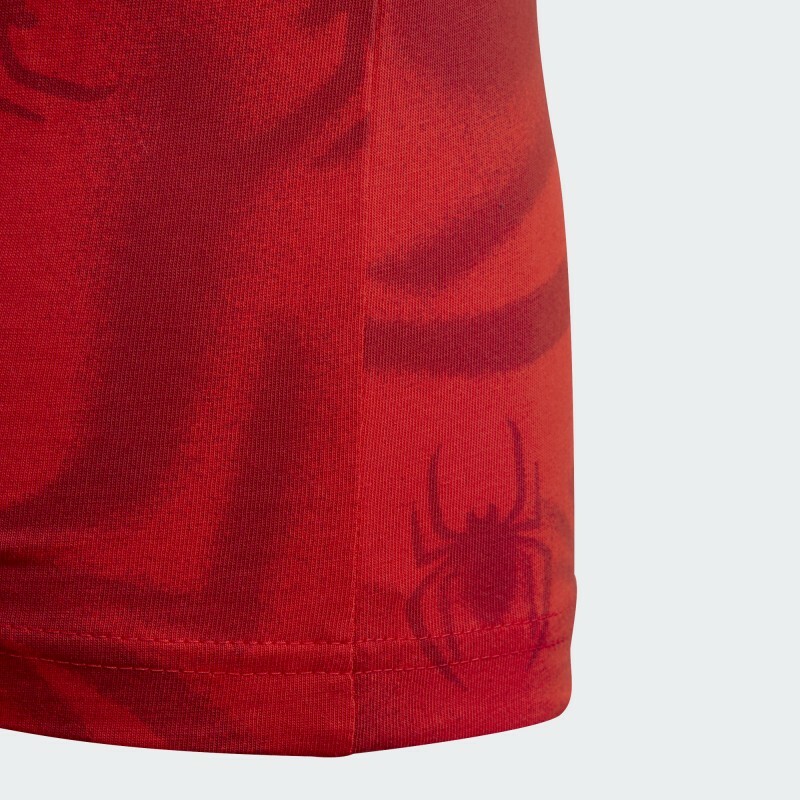 A Spider-Man print on the front and back flashes superhero vibes.